At some point in your life you will encounter these pesky little buggers that live in your hair. The very thought of them often makes your head begin to itch. If you are like me as soon as your child starts scratching out come's the comb, luckily we have only had them once and they were gone almost as quick as they arrived. Now that Jared is at school I'm more aware of them and check his hair on a regular basis even more so when we get the dreaded head lice letter that get's sent round. When it comes to head lice nearly a 3rd of parents go into a state of panic, who can blame them we don't want them. There are many rumours that go around about head lice and here are a few little myths that you might of heard. Head lice can be caught by sharing a hairbrush, towel or bedding. Head lice can only survive on a head they quickly die when they aren't close to their food source. Adults and nymphs normally become too dehydrated to be able to feed between just 8-12 hours off of the head. Head lice only live in clean hair. Well this is a load of rubbish as when I was growing up I was told they only live in dirty hair so which is it? Well it's both and neither, head lice do not have a preference as to what condition your hair is in. Head lice prefer longer hair. All that space with such long hair they could set up a little country. However they don't have a preference on hair length as they can survive on just 2mm of hair. Head lice like to live by the scalp, makes it easier to feed I guess. There are many ways you can get rid of head lice and keep them away, and many products to choose from. It can be confusing on what to use, Hedrin have a great selection of products to choose from for every stage Detection, Treatment, Post Treatment and Protection. Of course the best bit of equipment you will need is a good head lice comb, you will need to use a comb that is designed for catching head lice. The teeth on a head lice comb should be no more than 0.3mm apart. After this you will need to treat the hair Hedrin have three treatment's to choose from which are Hedrin's 4% lotion, Hedrin Once and Hedrin treat and go. 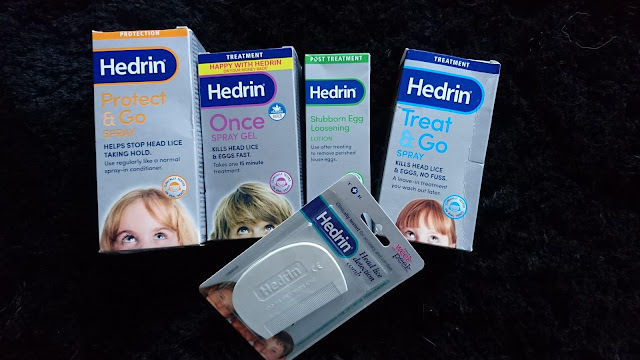 After treating the hair you will need to remove the dead eggs from the hair using Hedrin's stubborn egg removal kit can make them easier to comb out of your child's hair. Finally to keep the head lice away you can use a protection, Hedrin's Protect and Go spray which you can apply to the hair after every wash. I now have a little giveaway for you to win Hedrin Once treatment and Hedrin stubborn egg loosening lotion. * The giveaway is for 1 Hedrin Once Treatment and 1 Hedrin Stubborn egg loosening lotion. 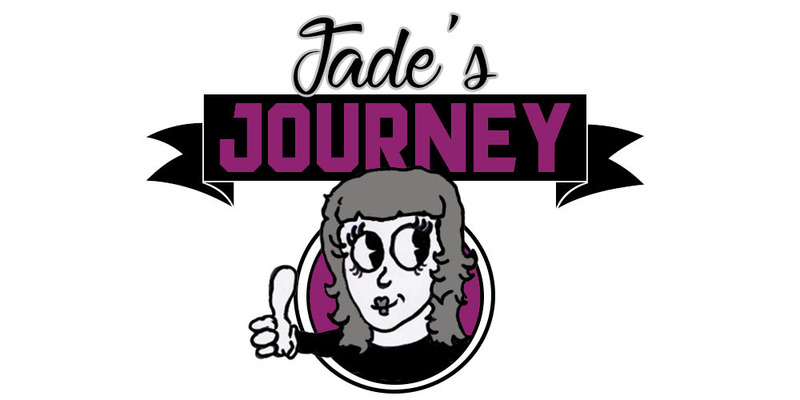 There will be one winner only and the winner will be chosen at random via Rafflecopter. This giveaway is only available to UK residents there is no cash alternative. The winner will be notified by email if no response is given within 21 days then the giveaway will be re drawn.